This level has hard difficulty and you need to play with good trick to complete orders. For this level first you should try to play from bottom and break timer bomb. 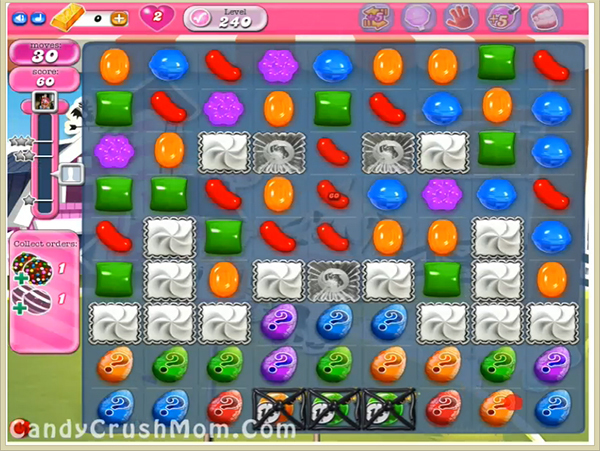 Then use question mark candies to get colorbomb or make colorbomb anywhere you get chance to complete order. After it will be easy for you to make striped candy to complete this level. We completed this level with 157860 score using same strategy that we posted above and use just five moves plus got three star score at the end of the level.